On your Mobile Phone Click Table of Contents at the top of your phone screen and find the topic you wish to find out more about. 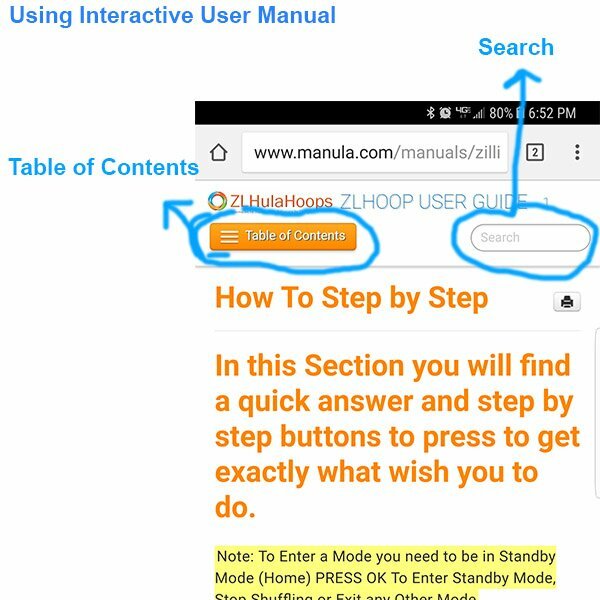 You can also do a Search in the Right Top Corner of the screen, this will return all the pages with the topic you are looking for. This is not necessarily a Manual to read page by page, but rather a How to type of guide, Cheat Sheet. As you practice different Modes and Settings you will become more familiar with the user display and what mode you are in and how to do things on the ZL Hoop.